This week, the Apple iTunes App Store is offering a FREE download of the Duet Game – available on the iOS platform for both iPhone and iPad. 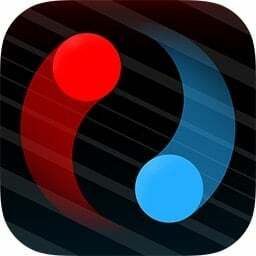 This week, the Apple iTunes App Store is offering a FREE download of the Duet Game – available on the iOS platform for both iPhone and iPad. 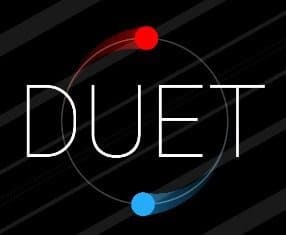 Duet is a hypnotic action arcade game with a mesmerizingly beautiful soundtrack by Melbourne composer and Gotye multi-instrumentalist Tim Shiel. This award winning game was featured as one of Apple’s App Store “Best of 2013”. Duet has also received acclaim from AGDA for Best Design and Best Audio, PAX Indie Showcase and Intel Level Up Grand Prize Winner for Best Action and Best Sound. New Encore Chapters – Be mesmerized all over again with 30 new stages with new game features and a new story-line. Tim Shiel returns with new music tracks & the ethereal voice of Jojo Petrina is back with new narrative.. The Original Soundtrack – Available from BandCamp timshiel.bandcamp.com.